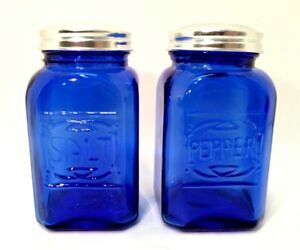 Details about Cobalt Blue Salt & Pepper Shakers Retro Depression Glass Set Metal Lids 4.5"
Cobalt Blue Salt & Pepper Shakers Retro Depression Glass Set Metal Lids 4.5"
Item as described. Fast Shipping, recommend seller! Item arrived timely, in great shape & as promised!